Warning: parental ramblings ahead! I am sure parents everywhere are breathing a collective sigh of relief as school resumes for the third term. If I am honest I actually quite enjoyed the 3 week break from lunchboxes, school runs and most of all the dreaded “lurgies” that always make their way home from the playground. Yes, the holidays can push any parent’s patience to the limit at times, but all too often I am reminded of how quickly time goes and that this chapter in our family journey is really so fleeting and special. Even when I am knee deep in stuffed toys, picking tiny bits of muesli off the soles of my feet (did I not just sweep that floor 5 minutes ago?!?) and answering the same question for the tenth time whilst pureeing a chicken and veggie concoction for the babe. All to the soundtrack of the washing machine and Disney radio. Special times, chaos and all! 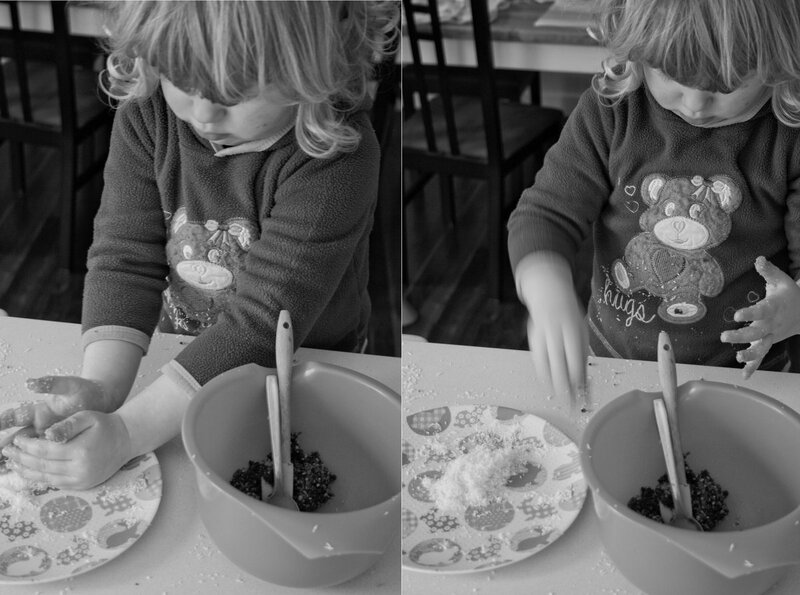 This is a fantastic recipe if you are looking for an activity to keep little hands busy during the holidays or any time restlessness sets in. 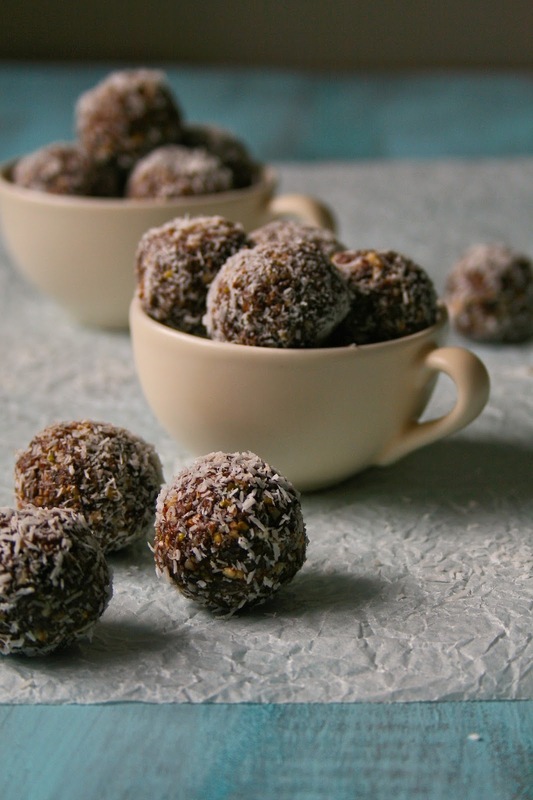 Mini chefs will love rolling the mixture into balls and in the coconut. If you are lucky like me they will also want to shell all the pistachios for you. 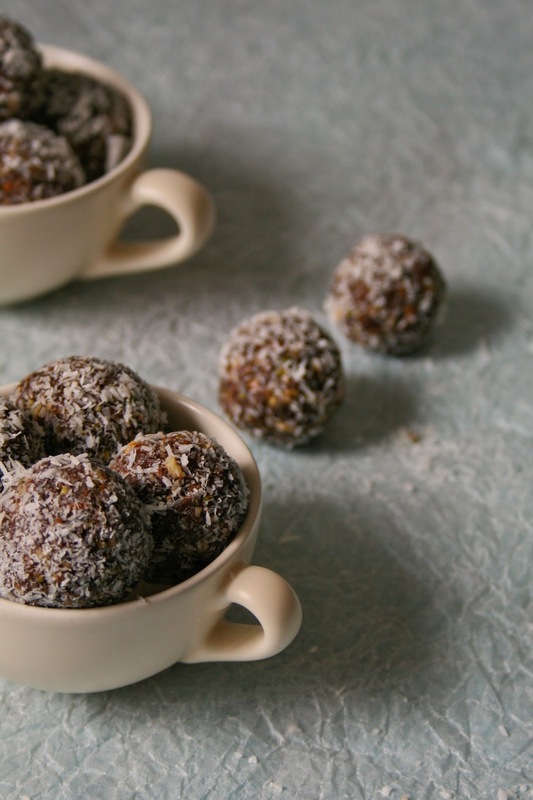 *wink* These date balls make great lunchbox fillers or the perfect late afternoon nibble to boost energy levels. Although I am not convinced that these tiny humans need much help in that department! I got this recipe from a friend and adapted it slightly. I included almonds and pistachios but you could substitute these with your favourite nuts or whatever is on hand in the pantry. I love citrus flavours but if this is not your thing feel free to leave out the orange zest. 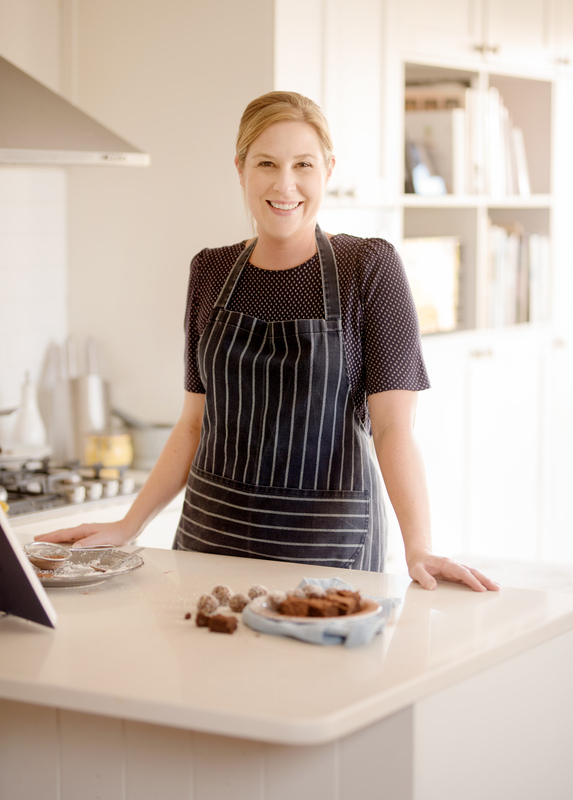 What are some of your favourite holiday bakes and lunchbox snacks? 1.) 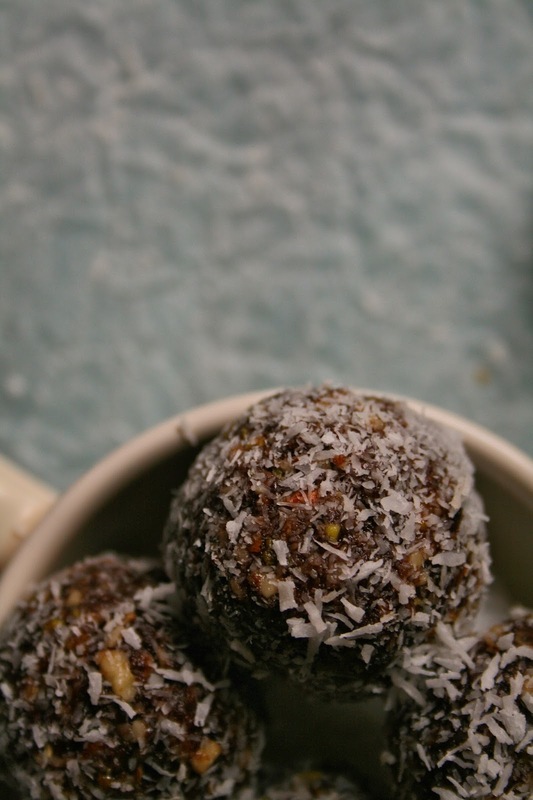 Place the dates, cocoa and almond butter into a food processor and whizz into a paste. 2.) Add the pistachios and almonds and whizz again until the nuts are finely chopped. Scrape down the sides of the bowl. Add the brown rice syrup and orange rind, and mix again until everything is combined. 3.) 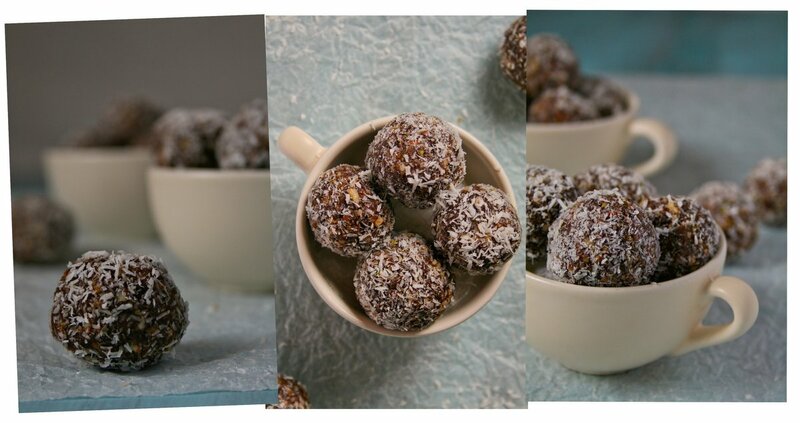 Roll heaped teaspoonfuls of the mixture into balls. 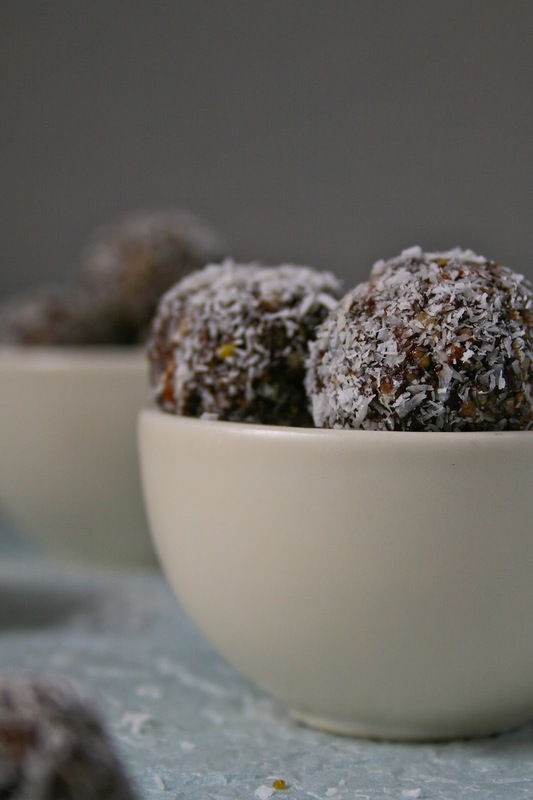 Roll each ball in coconut to coat. 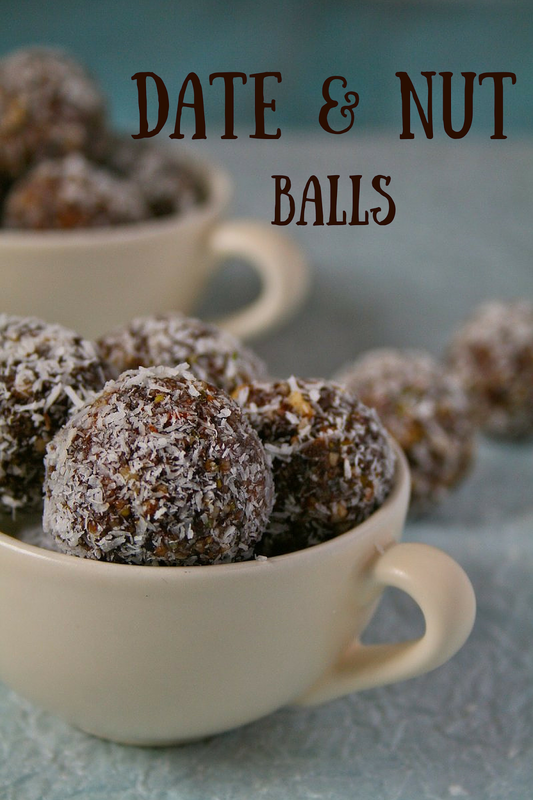 Store the date balls in an airtight container in the fridge. Your little one is so adorable!! I am in love with orange at the moment and like the addition of the orange rind to the date balls! yummy recipe!